The 4th major, the least popular of the 4 – The PGA Championship is here. Many look at this major as a regular tour event as it plays like almost every other tournament on Tour but has the classification of a major. 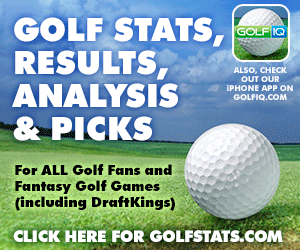 Below is our list of the top fantasy golf picks for the PGA Championship. We hope one of these guys takes home the trophy, but we think they have the best chance to finish in the Top 25 which when building our DFS lineups is the minimum you are looking for from your plays. 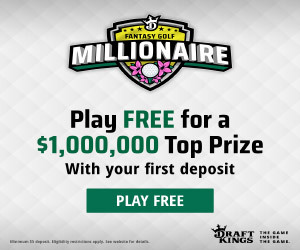 Realistically to take home that $1 Million prize at DK you need at least 1 Top 5 finish and a couple top tens. Of course picking the winner is always a good start. Has shown some sign of life lately and his price will be high because of it. I think he may be a little under-owned so I'm willing to take a shot on him. He was one of our Sleeper Picks for the Open and was a couple of putts away from hoisting the Claret Jug. He was $7,200 then but you will probably see him in the $8K range. He is playing awesome golf but won’t have any weeks off since the Open so a bit of a risky play if he runs out of gas. Rose made the cut at the Open but was never a factor. I don’t see him winning this week but I like him as a easy cut make and hopefully a Top Ten finish. He won his major and will continue to be a factor in big golf tournaments like this one. He will likely be around $9K which will make it tough to fit in another stud but he is so consistent and another easy cut make in my opinion. The next on the “Will He Win a Major” list, Westwood has been playing really well this year. If there is any major that he has a shot at winning it’s the PGA Championship. I don’t know if he will, but he will be a low enough cost for you to stick him in a lineup and cheer him on.